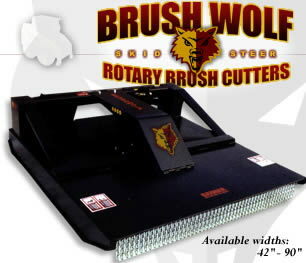 Bush Hog style mower attachment for Bobcat MT52 or Dingo Mini Track Loaders. 48" Mower Deck will mow everything from tall pasture grass to overgrown berry fields and heavy brush. * Please call us for any questions on our mower 48 inch hyd. attach. bobcat/dingo rentals in Portland OR, Gresham OR, Milwaukee OR, and surrounding metro area.